Only Me is a new series of wall mirrors designed by Starck, reflecting the narcissism present in each one of us. 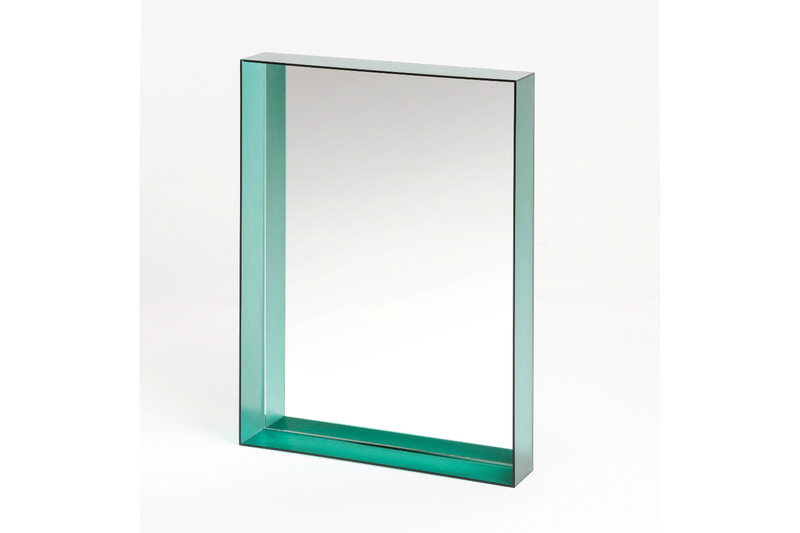 The actual mirror of Only Me is encased in a slim 8 cm frame of various transparent colours - emerald green, fuchsia and azure, or in the two matte classics of white and black. 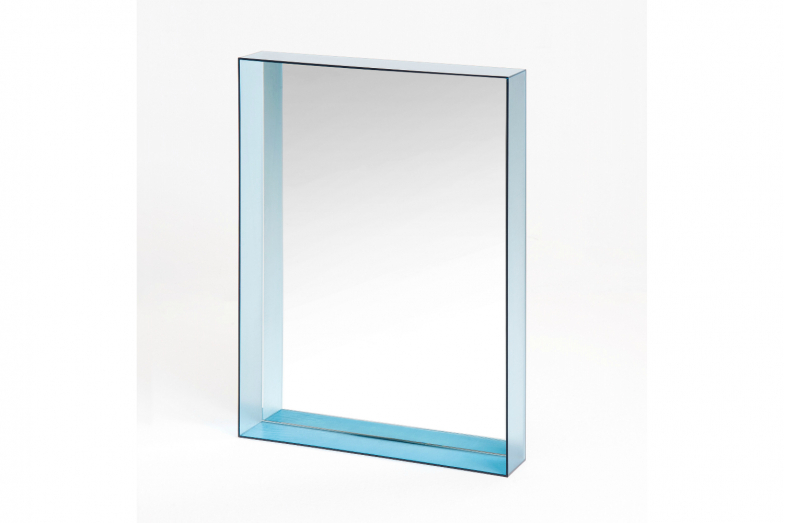 The large versions of the mirror also come in chrome-plated silver or bronze. 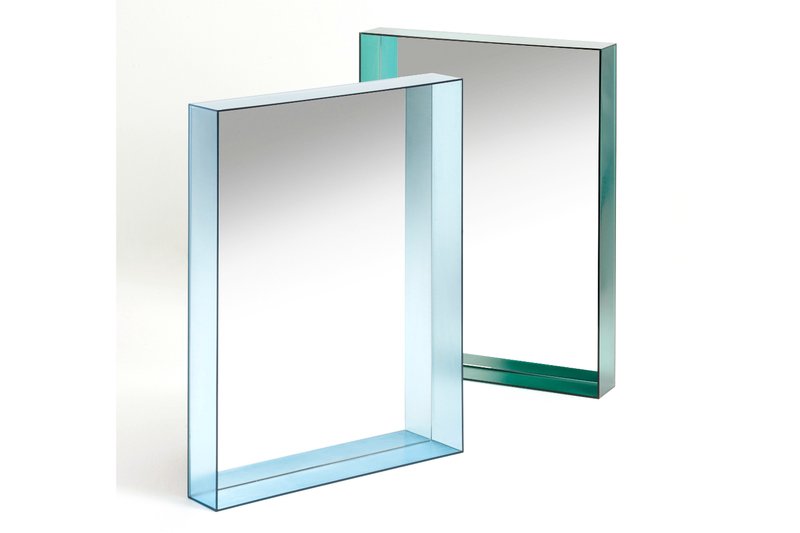 The Only Me collection of mirrors consists of two medium-sized shapes, one square and one rectangular (that can be hung vertically or horizontally) and one long wall mirror.